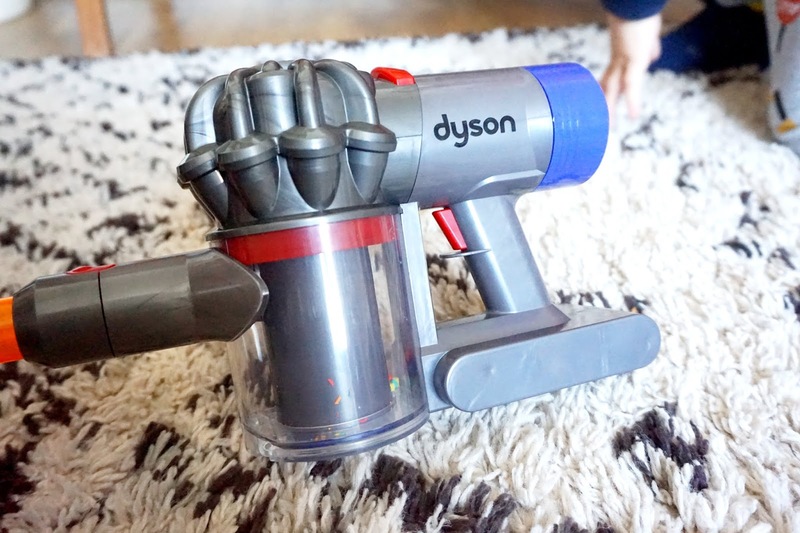 We’re huge Casdon fans, so when we got the chance to review the brand new Casdon Dyson Cord-Free Vacuum, I’m sure you can only imagine how excited we were. 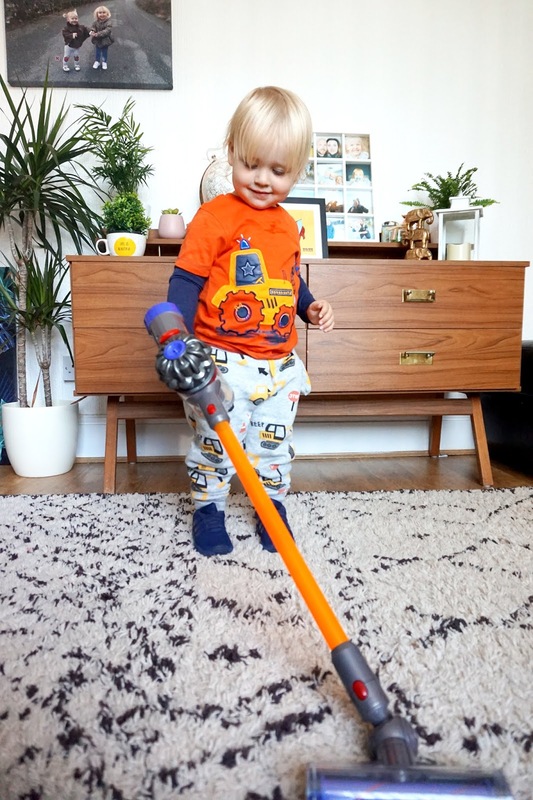 Ever since Freddie started to notice things he’s been obsessed with hoovers. He would bum shuffle around while I hoovered from room to room and as he started to walk, he would help me hoover too. He’s had a few hoovers for himself, and on a daily basis, we will always see him ‘hoovering’ most rooms in our home. We have a cord-free hoover to hoover our stairs and quick little hoover ups around the home, now Freddie has his very own and I wish I had captured his excited face when he saw it. It’s a light, but great quality cord-free hoover that’s the exact replica of the hand held DC59 model. You can change the nozzle at the bottom, just like the real one, he loves switching them around. 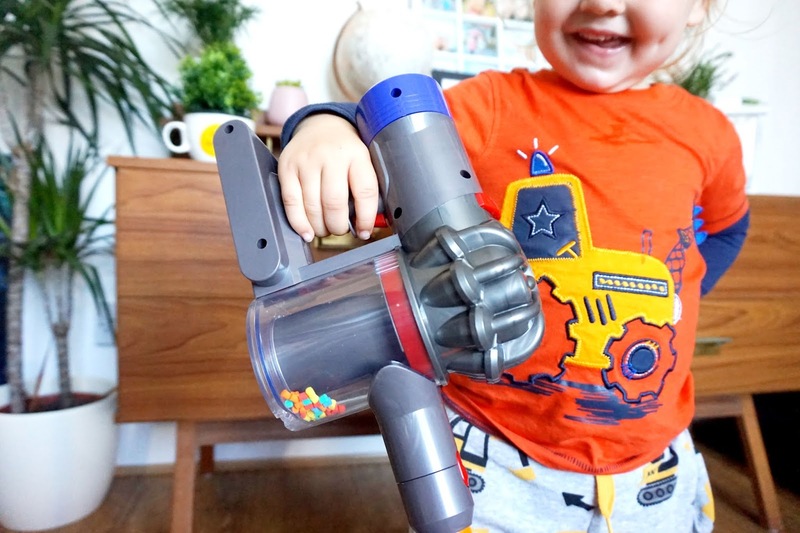 The most exciting part for Freddie was probably that it has a working suction which actually picks of dust and little pieces of papers. He was so proud of himself for cleaning the floor. There are little balls in the clear cylinder which he likes too. It’s light enough for little ones to use with one hand. 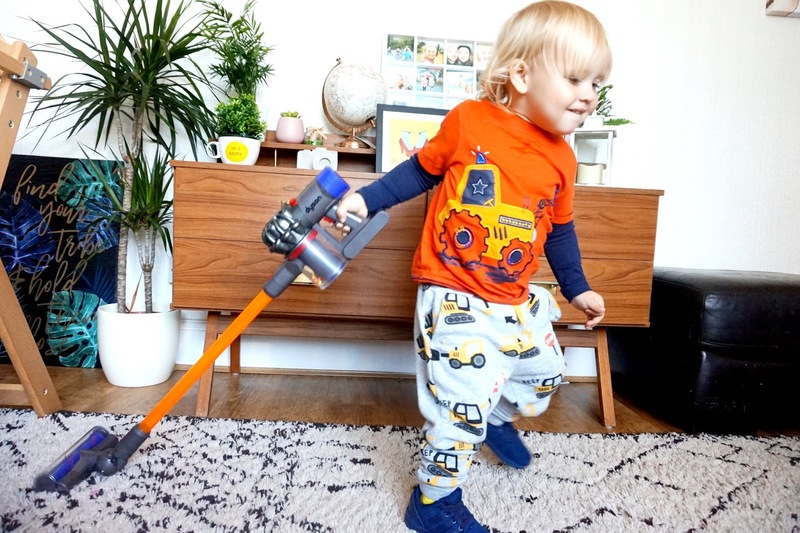 Overall, we are overly pleased with this hoover. A lot of people have commented on how cool it is, and his little friends have also been playing with it. It’s been a great hit with my eldest too. Also, they are 8 and 6 years old. We were gifted this item for the purpose of this review.